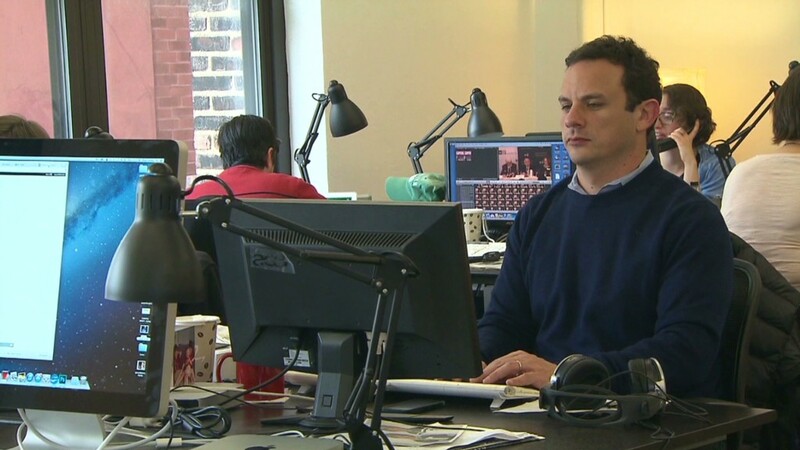 Capital New York editor Josh Benson in the newsroom in 2013. Politico will arrive in several more states this year as part of what the company says is a bid to rebuild statehouse political coverage. The Washington-based publication said Wednesday that the New York political and media site it purchased in 2013, Capital New York, will be renamed Politico New York. The New York editors of Capital will oversee the expansion to other states, Politico CEO Jim VandeHei said in an internal memo. New Jersey and Florida are the first two states, and "we will follow with additional states as quickly as we can," VandeHei said. VandeHei described the effort in ambitious terms. "Ever since I walked into the statehouse in Albany after we purchased Capital, and saw again an important, powerful institution with a diminished press presence, I hoped we could find a template for saving coverage of state government. I believe we have," he said. "We will have a blast proving it." The publisher of Politico, Robert Allbritton, signaled in the summer of 2013 that he wanted to double down on Politico's digital business model. At that time, he sold off the seven TV stations he owned and said "my future is Politico and companies like it." The acquisition of Capital New York came a few months later. He and VandeHei took a further step in the summer of 2014 by announcing a European outpost of Politico. On Wednesday VandeHei said some of the state-based stories would appeal to a national audience through the main Politico web site. The state-based model will be similar to Politico and Capital New York's, in that it will combine some free news with a paid subscriber product. There will also be newsletters. VandeHei said Politico will start Playbook newsletters in California, Illinois and Massachusetts later this year, along with one in New Jersey. The newsletters could give the company a starting point for further coverage in those three states.